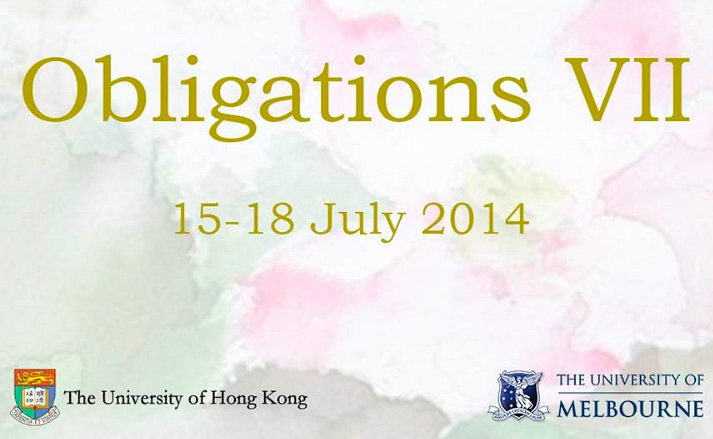 World leading private law scholars and jurists met at the HKU Law Faculty in mid-July 2014 for the Obligations VII conference. 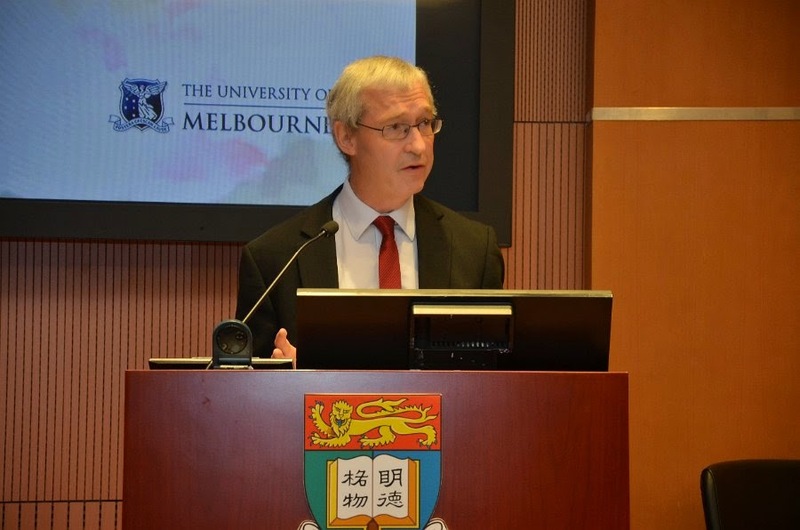 The event was co-organised by the law schools of Hong Kong University and Melbourne University. 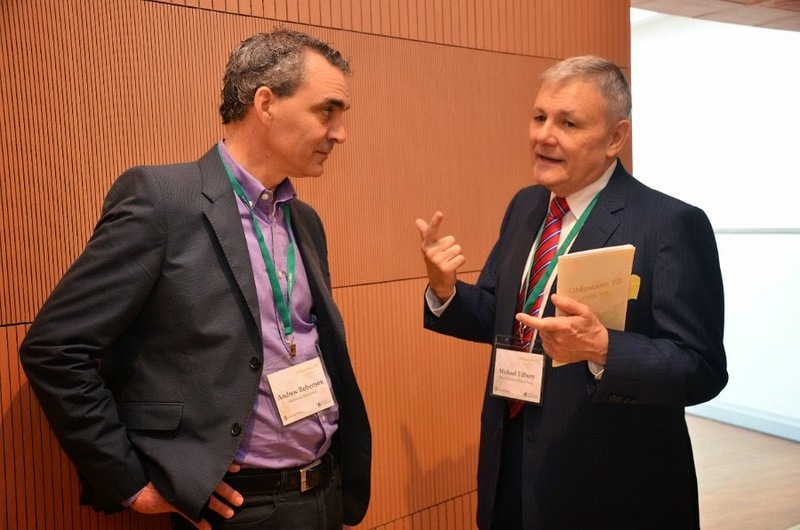 The co-convenors were Michael Tilbury (HKU) and Andrew Robertson (Melbourne). 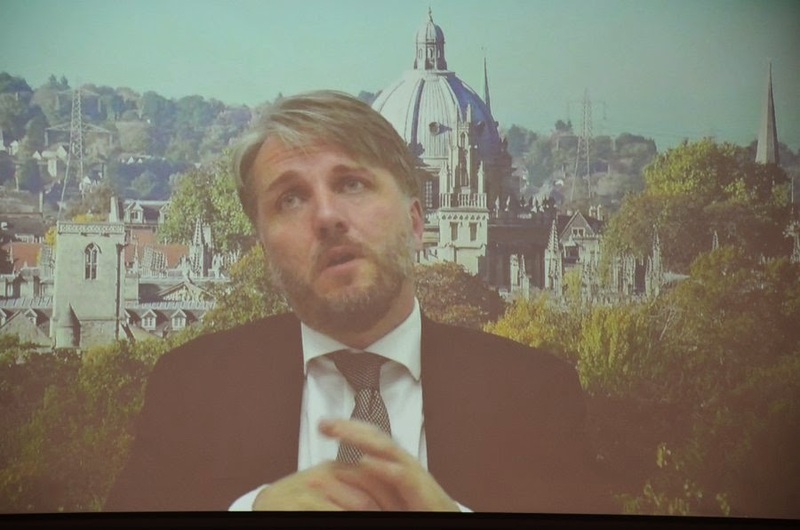 In the interview below, Professor Tilbury reflects on what was achieved and briefs us on subsequent developments. 1. What were you hoping to achieve when you were planning Obligations VII? By way of background to my answer, it is important to stress that the biennial Obligations conferences, which originated at the University of Melbourne in 2002, are the leading forums that bring together scholars, judges and practitioners from around the common law world to discuss issues in private law. Each conference is organised around a common theme, and speakers are asked to address this theme in their presentations. Against this background, the overall objective of the Obligations VII conference was to bring together leading authorities in the common law world who could address the identified theme of the conference, namely divergence and convergence in the common law of obligations. The theme starts from the premise that, although the common law has its origins in English law, its development outside England has been subject to local influences (for example, local statutory regimes, including human rights instruments, or even local values) that have led to divergences in the common law. The conference was aimed at identifying the reasons for, and evaluating the utility (or otherwise) of, such divergences. In planning the conference we were keen to see a logical development of the theme of the conference throughout its three full days, and to devise individual sessions that were linked, as far as possible, by common topics. 2. Do you think the Hong Kong conference achieved those objectives? The conference certainly achieved its objectives. Indeed, the conveners of the conference have received many messages commenting on its intellectual depth, and its overall coherence. Specifically, and relating this to the objectives of the conference that I have already outlined, I note the following. First, leading authorities from throughout the common law world (both from the academy and from the judiciary), presented papers at, and generally participated in, the conference. The papers engaged the theme of the conference at sophisticated, often ground-breaking, levels, taking into account our current theoretical understandings of the common law of obligations and the practical and societal contexts of those understandings. Secondly, the conference theme was progressively developed throughout the conference both in plenary sessions and in the parallel sessions broadly classified into tort, contract, unjust enrichment and equity. For example, the plenary session on the first full day began with Professor Andrew Burrows addressing the general influence on the English law of obligations of leading Commonwealth authorities, and ended, on the final day, with Professor Robert Stevens (addressing the conference by video-link from Oxford) discussing the approach to particular aspects of remedies in two leading English and Australian cases. 3. What were some of the main highlights from the Hong Kong conference? Undoubtedly, the major highlight was the intellectual engagement of the papers with the conference theme. Of course, beyond this, the answer runs the risk of being subjective, depending on the papers that had special personal appeal. However, I think it is not unfair to single out the contributions of our plenary speakers to our understanding of divergence and convergence in the common law of obligations. I have already mentioned the papers of Professors Burrows and Stevens, both from Oxford. 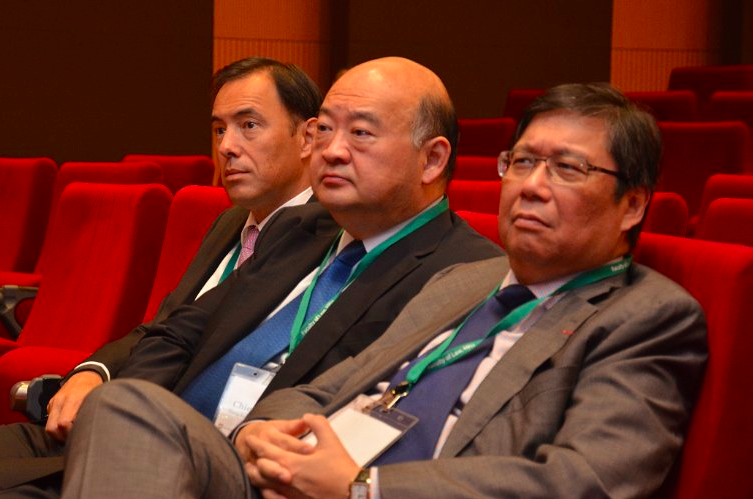 Justice Robert Ribeiro of the Hong Kong Court of Final Appeal spoke at the opening plenary session of the conference. 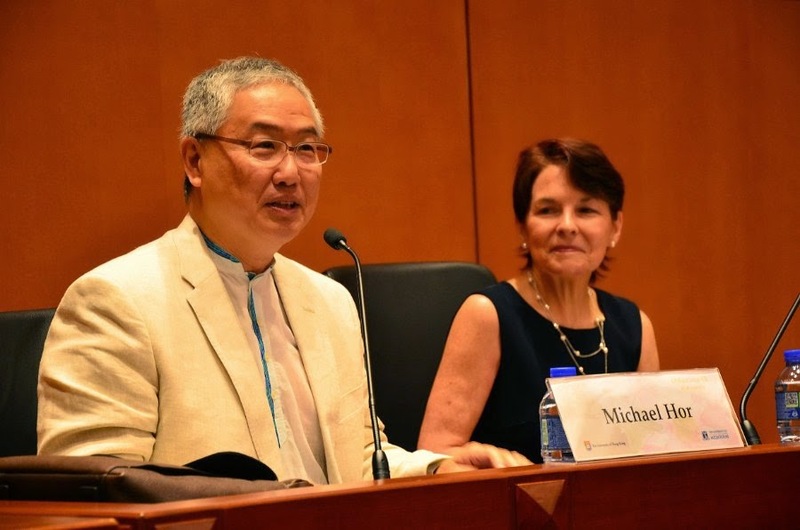 His Lordship gave the conference a distinctly Hong Kong ‘feel’ by speaking about a decision of the Hong Kong Court of Final Appeal on defamation on the internet, comparing the decision to those in other common law jurisdictions. Sir Anthony Mason, also of the Hong Kong Court of Final Appeal and formerly Chief Justice of Australia, spoke about the influence of statute law on common law development. Professor Sarah Worthington from Cambridge addressed the issue of the extent to which party autonomy is essential to common law doctrine. Dame Sian Elias, the Chief Justice of New Zealand, spoke about public acts and private obligations. Unfortunately Professor Paul Finn, formerly of the Federal Court of Australia, was unable to attend the conference. 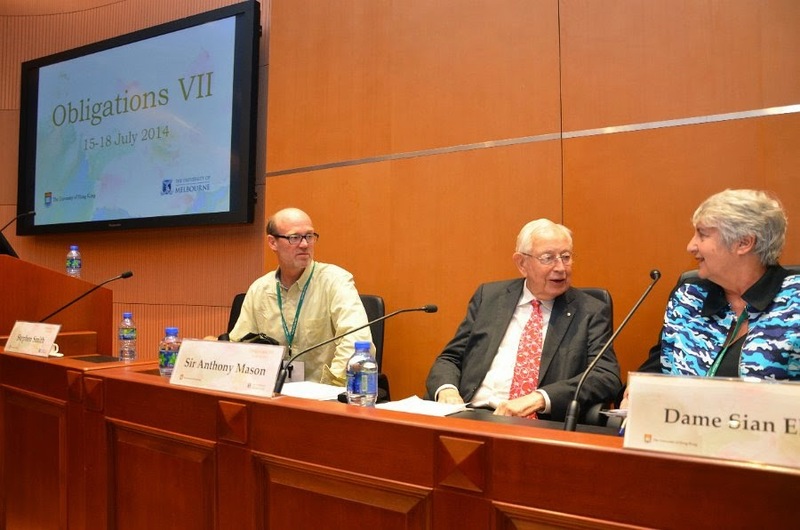 However, his written paper, which traced the emergence of diversities from English law particularly in Canada, Australia and New Zealand, formed the subject of a spirited plenary panel session, in which Professor Stephen Smith commented from a Canadian perspective; Sir Anthony Mason from an Australian perspective; Dame Sian Elias from a New Zealand perspective; Professor Anselmo Reyes from a Hong Kong perspective; and Professor Andrew Burrows from an English perspective. The other highlight of the conference that must be mentioned was its outstanding organisation, attributable to the quiet determination of the organising team at HKU, led by Priscilla Wong. 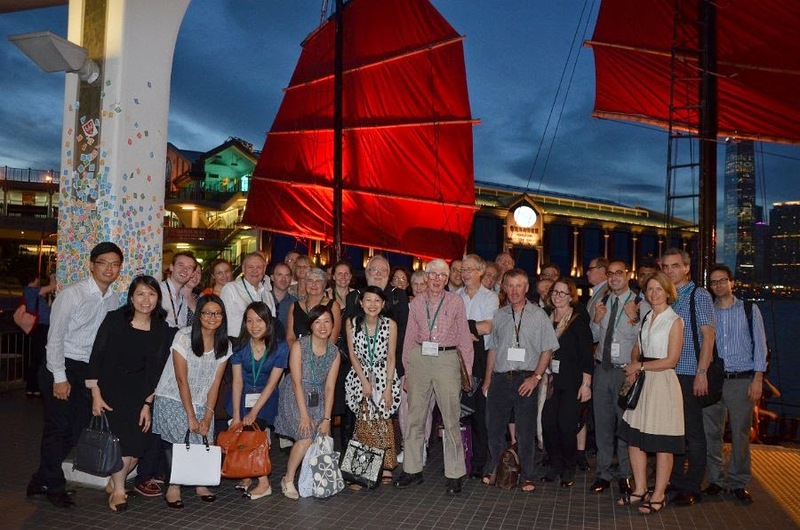 The organising team ensured that everything ran to clockwork, including the widely enjoyed cruise dinner on Victoria Harbour and the conference dinner at the Bankers’ Club. 4. Will the papers from the conference be published? Yes, Hart Publishing will publish two volumes of essays from the Conference in 2015. The first will be entitled The Common Law of Obligations: Divergence and Unity and the second Divergences in Common Law. The volumes will be stand-alone works, the first focusing on general topics relating to the conference theme, the second on particular divergences in contract, tort, unjust enrichment and equity. Update: The two books were published in January 2016. Click here for more information. 5. What can you tell us about Obligations VIII? Obligations VIII will be held at the University of Cambridge from 19-22 July 2016. The theme of the conference will be ‘Revolutions in Private Law’. More photos from Obligations VII can be found here.